Conquer that yellow feeling! No need to fear the blank canvas when the only things to be scared of are frighteningly awesome creative possibilities. 100% cotton, acid-free and double primed, this surface is ready and waiting for any oil or acrylic you can throw at it! So whether it's brushes or palette knives, bring it on boldly and experience the thrill of the fill. 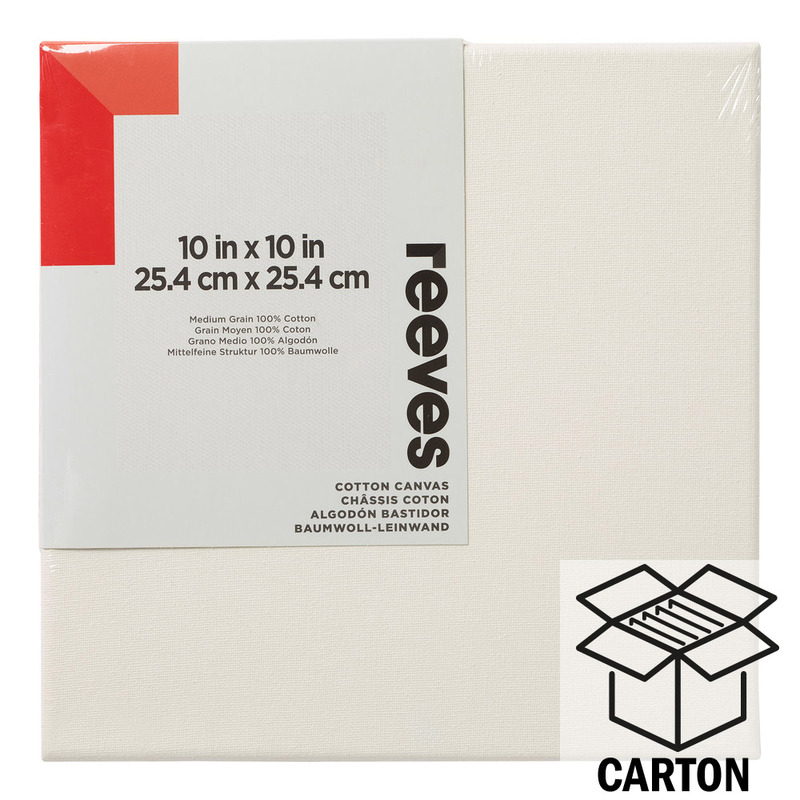 The express service for next day noon delivery is not available with Reeves Canvas Cartons. Please do not order out of stock cartons. For information on estimated dates for cartons coming back into stock email us. 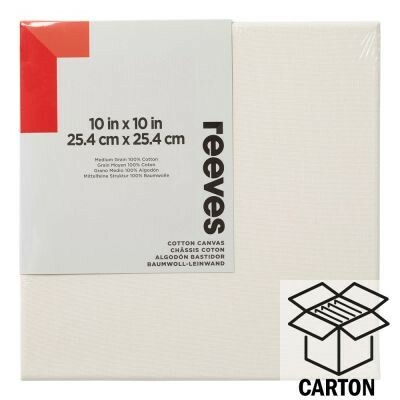 Please note: These canvas cartons are normally shipped directly from our suppliers. 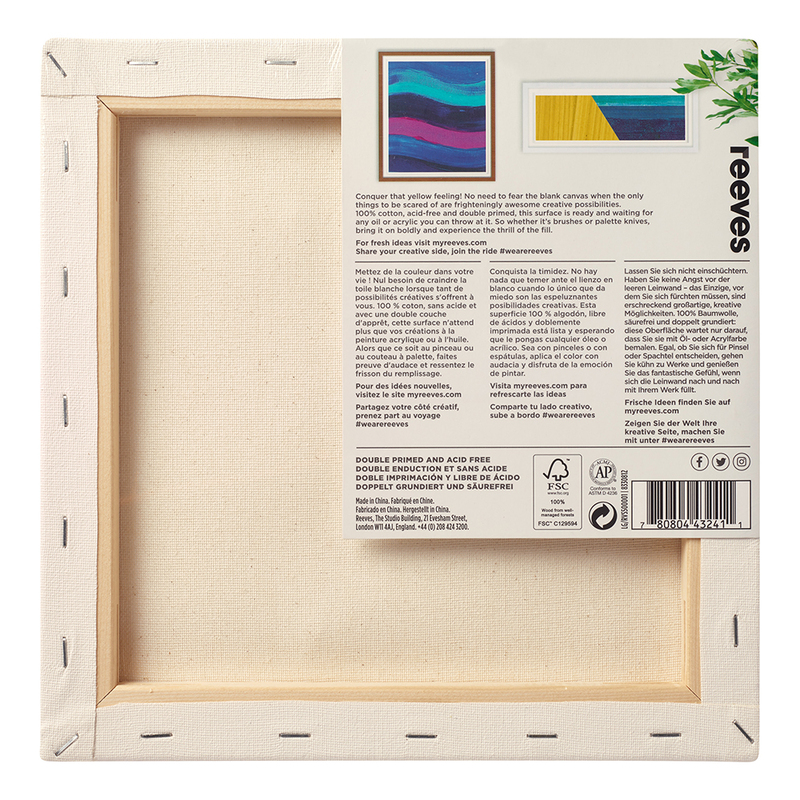 If ordering a canvas carton along with other materials you may receive your order in more than one shipment, and not necessarily on the same day. Canvas Carton shipped to the UK Highlands and Islands - Please allow up to 7 days for delivery of cartons. The express service for next day noon delivery is not available with Winsor & Newton Canvas Cartons.